Next, you can enter some basic information about this client (don't worry - you can enter more detailed information on the next screen). This basic information can include the client's name, email address, and phone numbers. 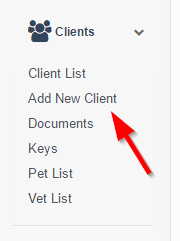 You can also select whether or not you want to send the Client Welcome Email at this point. You can always uncheck this box and send the Welcome Email at a later point. 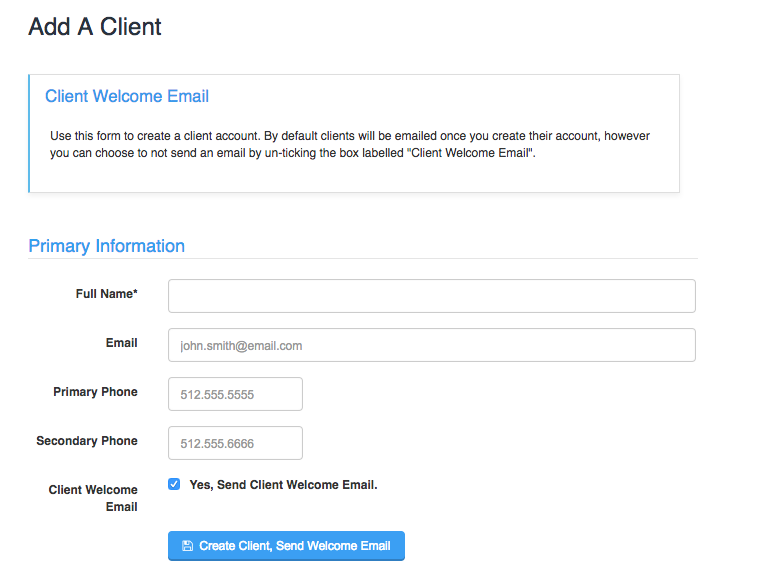 The Welcome Email is an automated email sent to your client that provides them the information they need to Activate their client account. This email can also be customized in Language Settings if you would like to adjust the content.